There are nine PDAs for the Print sector, all at SCQF level 6 covering specialist areas of the diverse printing process. These will allow candidates to demonstrate competence in job related skills in their particular area of work and expertise. The PDAs are based exclusively on National Occupational Standards for the Print Sector. SQA works in partnership with other organisations to ensure that National Occupational Standards (NOS) are relevant to the current and future needs of Scottish industries. This means that the PDAs are designed to be delivered and assessed in the workplace with candidates being employed or on placement. These qualifications are available through employers and training providers. Full details of all nine qualification structures can be found on the SQA website. The PDAs for the Print industry are all new qualifications and are designed to focus on developing specific skills in specialised areas of the printing process. They can be used for the purposes of upskilling, filling skills gaps and CPD. Upon successful completion, candidates will gain an international recognised qualification which guarantees that they have the skills, knowledge and abilities required to carry out their role successfully. As assessment is carried out in the workplace this minimises any time candidates would need to be away from their day-to-day work. The PDAs are based on units from the corresponding SVQs for the sector and will provide progression to the related SVQ qualifications. Although no prior qualifications are required to undertake these qualifications, experience in/knowledge of the subject would be an advantage. Therefore, Candidates should be in a job or placement where they are carrying out relevant tasks and responsibilities which allow then to gather the required evidence. 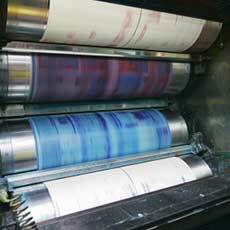 *These replace the SVQs in Digital Printing, Mechanised Print Finishing and Binding and Machine Printing. Specific subject expertise is required to deliver this qualification which is detailed in the Group Award Specification (Arrangements Document). To gain approval for this qualification centres should complete and submit a Qualification Approval Application Form. The Business Development Team can provide guidance in completing this form. The nine (9) PDAs are all at SCQF level 6. Each has a mandatory structure. Seven have three mandatory units. Two, PDA Print: Print Finishing 1 and PDA Print: Web Offset, have four mandatory Units. There are no optional units in any of the PDAs. For further information on the units and structure of these PDAs please refer to the Group Award Specification documents.